With the arrival of the holiday heavy calorie laden foods are prevalent. Having a smoothie to replace a meal or two can help keep your weight in check and still allow you to enjoy richer holiday foods in moderation. If you haven’t tried a persimmon I highly recommend seeking some out. There are two kinds of persimmons, the fuyu and the hachiya. 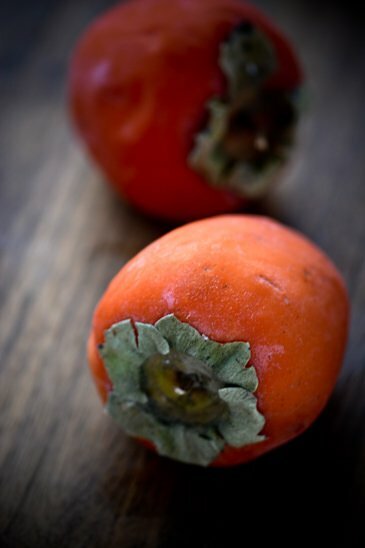 The fuyu can be eaten while still firm but the hachiya must be completely ripe and soft before you consume them. They are high in tannins that will be really unpleasant on your tastebuds if you don’t allow them to ripen fully. I usually let them ripen until they are mushy, throw them in the freezer and then use a vegetable peeler to remove the skins. This smoothie couldn’t be easier. 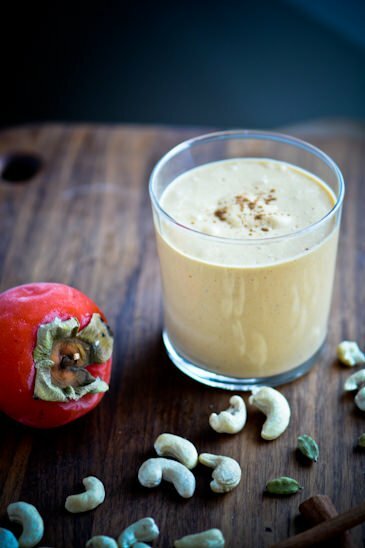 I happened to have some home made cashew milk on hand and I combined it with a ripe persimmon a medjool date, some honey and a little bit of cardamom and cinnamon. This is the perfect way to start your morning and will keep you satisfied until lunch. 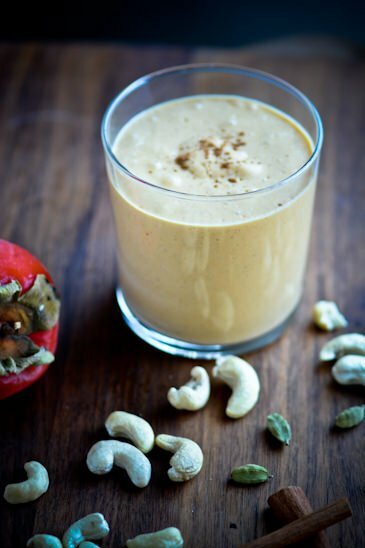 Blend all the ingredients together in a high speed blender, adding more milk if needed to achieve desired thickness. 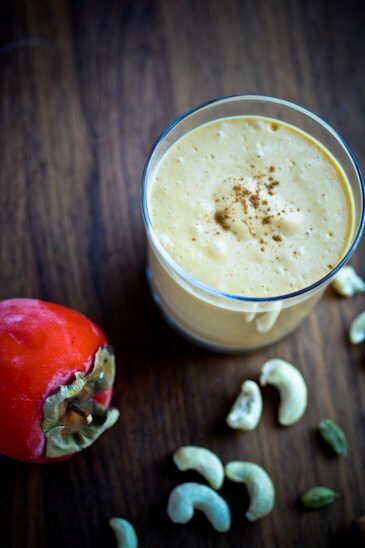 What a clever way to enjoy persimmons! Will try it this week and report back. Thanks for the inspiration! Couldn’t wait until my next trip to the store to try this so I sacrificed a persimmon planned for a salad! This was really, really good and a nice change-up to my regular smoothie. I added 2 dates and didn’t need the honey. Also added some avocado for body and healthy fats. Will be making this over and over again. So glad you liked it Katie. I’ll have to give the avocado a try! I have made this several times and I enjoyed it again this morning. It is so yummy. I just love your recipes. You are brilliant! Happy New Year.